This is the CD player adapter from Crutchfield. 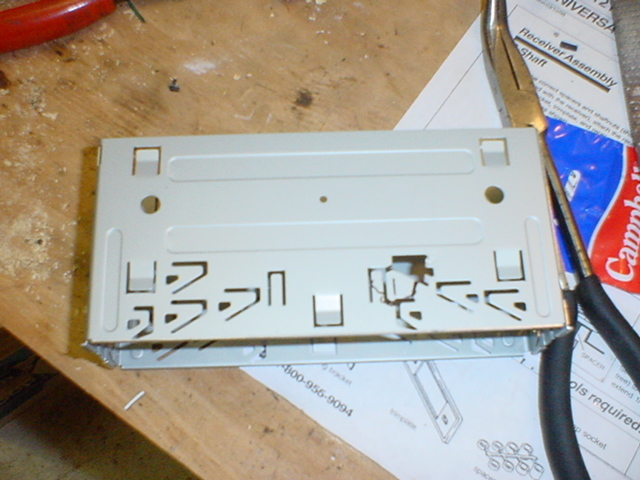 I had to cut an extra hole in the top to allow access to a screw in the dashboard. The hole is shown in these images in the top of the adapter. It is necessary to preserve access to that screw in order to remove the dashboard trim to change instrument cluster lights.